Edmonton Ward 12 candidate Yash Pal Sharma is being sued over his involvement in an alleged scheme to smear the reputation of a local Punjabi-language journalist. Ward 12 byelection candidate Yash Pal Sharma is one of eight defendants in local journalist Jarnail Basota’s defamation action. Sharma denies any involvement in an alleged scheme to publicly discredit Basota. 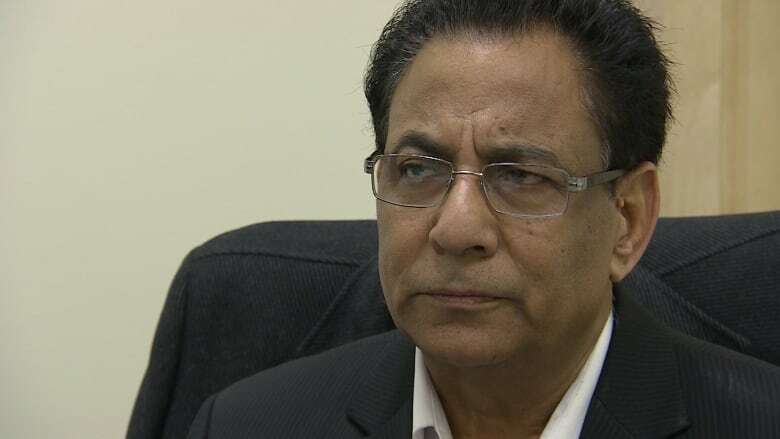 Sharma is one of eight people named in Edmonton journalist Jarnail Basota's defamation action. In it, Basota alleges Sharma helped "concoct" a scheme to publicly discredit him, using fabricated news articles. Basota's $3.5-million lawsuit claims Sharma "played a central role" in arranging for four individuals to swear false affidavits maligning Basota, which were used to bolster the fabricated news articles. Basota told CBC News he believes Sharma is unfit for public office. But in an interview with CBC News, Sharma denied any involvement in a scheme against Basota. "I have nothing to explain because I'm not party to it," Sharma said. "I am a clean person," he said, adding that, "my community knows very well I (have been) a responsible person in (the) community for the last 10 years." An October 2013 CBC News investigation revealed associates of former Edmonton Conservative MLA Peter Sandhu orchestrated an alleged smear campaign against Basota after he reported on a CBC News story about the chronic debt problems of Sandhu's house-building company. Desh Videsh, a local Punjabi-language newspaper, published two articles about Basota. The articles claimed Basota had drunkenly attacked several men at a farmhouse owned by one of the men, and had been beaten and fled, leaving behind his shoes and turban. In the Sikh religion, it is disrespectful, and personally humiliating, for a man to remove his turban in public. 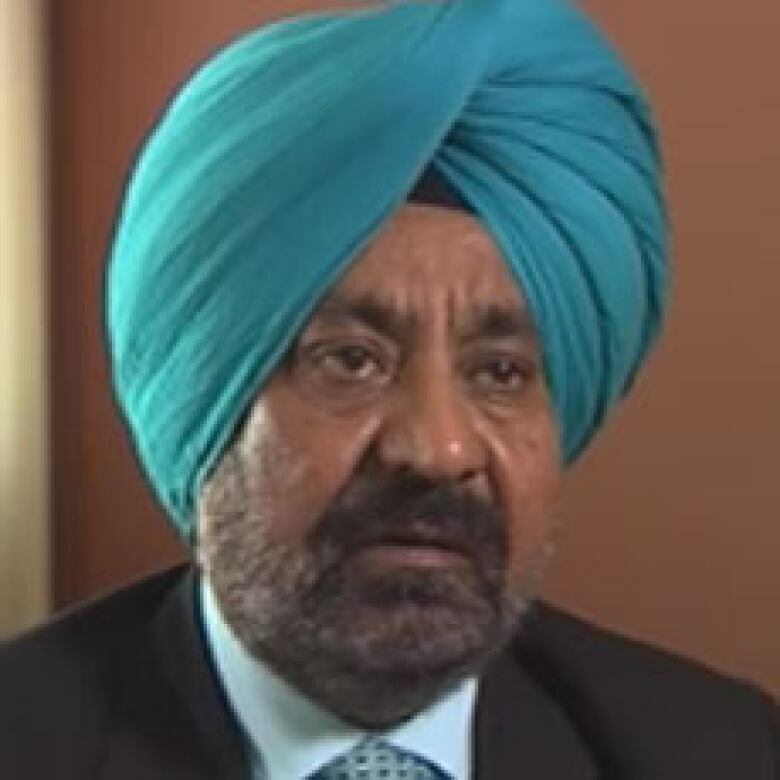 The CBC News investigation revealed the author of the fabricated stories, Inderjit Mullanpur, who was also the owner and editor of Desh Videsh, had lived at Sandhu's house for years. At one time, the newspaper's registered address was a property owned by Sandhu. For six years, up until 2012, Sandhu's wife, Kamaljit, had been 49 per cent owner of the newspaper. The second Desh Videsh article included affidavits from four men who said they witnessed Basota's behaviour at the farmhouse. Journalist Jarnail Basota was the subject of two defamatory news articles published in a local Punjabi-language newspaper, Desh Videsh. One of the men — Amit Chibber — admitted to CBC News his affidavit was a complete fabrication and he said his employer, an associate of Sandhu's, pressured him to sign it. He later personally apologized to Basota. Chibber said the affidavit was already written when he showed up at a lawyer's office to sign it. He said Yash Pal Sharma was also there. In an interview, Sharma said lawyer Brian Doherty asked him to serve as a witness and identify two men who swore affidavits, including Chibber. "I was only identifying people," Sharma said. "I was not identifying what was in (their) affidavits. That was none of my business." But Chibber told CBC News that Doherty had asked him for photo identification and he said he showed his passport before he was allowed to sign the affidavit. Doherty declined an interview request. Another man, Sunny Ghuman, admitted to CBC News he had no first-hand knowledge of the statements contained in his affidavit and that he was told what to say. Both Chibber and Ghuman were temporary foreign workers employed by Edmonton businessman Paul Boparai, a close friend of both Sandhu and Sharma. Boparai also swore an affidavit. In an interview, Sharma admitted he had also worked for Boparai but said he wasn't working for the businessman during the controversy involving Basota. He conceded, however, that he had used an email address from Boparai's trucking business at that time to organize a press conference by Boparai. Basota alleges in his lawsuit that some of the allegations contained in the fabricated news stories were repeated at that news conference. Sharma, who also co-owns a newspaper, said he assisted in organizing the 2013 news conference in his capacity as president of the Press Council of Edmonton. Sharma also promoted the second Desh Videsh article attacking Basota on his personal Facebook page. He said he distributed the story in his role as a journalist. 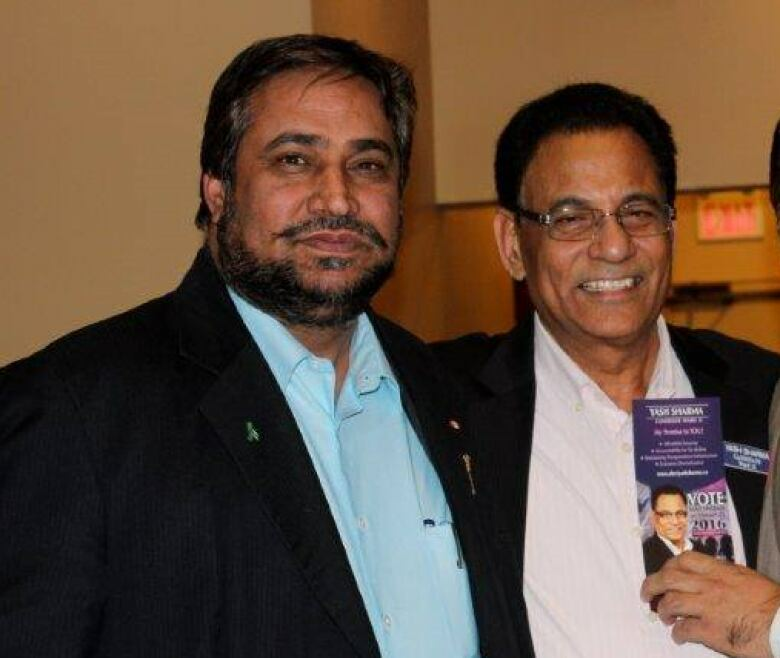 Former Edmonton MLA Peter Sandhu (pictured, left, with Sharma) is another defendant in Basota’s lawsuit. (Facebook)"It is in the interest of people whether it is true or untrue," Sharma said, but he could not explain why he did not share any of the stories by other media outlets that refuted the Desh Videsh version of events. Several weeks after Chibber admitted to CBC News his affidavit was false, he recanted and claimed he had been coerced to give the interviews. Based on the statements Chibber gave to the Law Society of Alberta and Edmonton police, which matched what he said in interviews, as well as CBC News' knowledge of how the interview came about, CBC News published and broadcast the story as planned. Chibber was later deported back to India, after he was caught working illegally at an Edmonton restaurant owned by Boparai. Sharma and six others have filed a joint statement of defence in which they deny every allegation made by Basota and claim the news articles are factual. Former MLA Peter Sandhu has filed his own statement of defence in which he also denies every allegation made by Basota. Sandhu has publicly endorsed Sharma for the upcoming byelection and has made at least one public appearance on his behalf. None of the allegations in the statements of claim or defence has been proven in court. Sharma is one of 32 candidates running in the Ward 12 byelection to replace Amarjeet Sohi, who won election as a federal Liberal MP and is now Canada's Infrastructure minister.